Omnibus Collector's Edition in four books. A, B, and C-series adventures from 2010-2018 numbering over 2,000 pages for Pathfinder RPG. 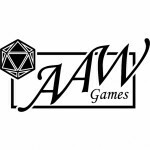 Adventureaweek.com Subscription now includes Savage Worlds and Starfinder Roleplaying Game! 75% OFF Hundreds of Titles on Adventureaweek.com!